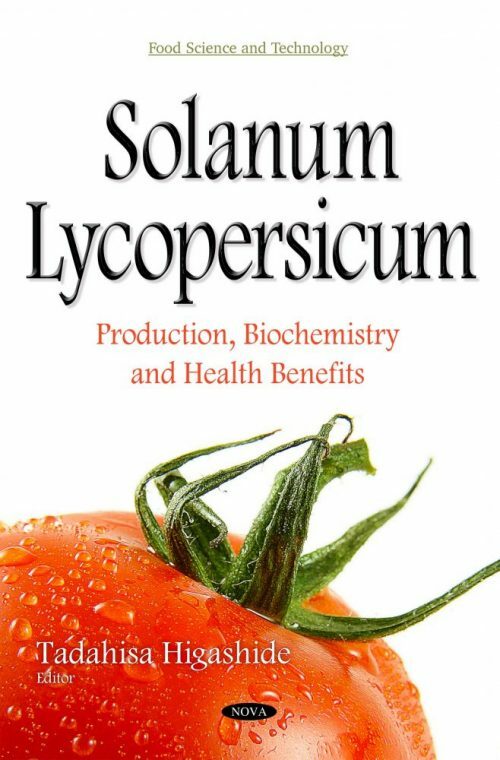 Solanum lycopersicum is the scientific name for cultivated tomatoes. Tomatoes are produced and consumed worldwide. Many scientists are investigating such aspects as production, post-harvest, nutritional components, and health benefits of tomatoes. Moreover, Solanum lycopersicum is one of the model plants in recent molecular biology as Arabidopsis. This book consists of recent research topics written by tomato experts in a wide range of scientific fields. In tomato production, improvements of yield and efficiency have been investigated. Dry matter production influences these yields and efficiencies of tomato production. Higashide reviewed factors such as photosynthesis, light interception by plants, and environmental conditions that pertain to dry matter production. Additionally, to improve crop production in greenhouses, Li and Yang reported that the diffusion of light has advantages such as light distribution, less photoinhibition, and lower leaf temperature. Recent molecular biology has clarified genetic and metabolic aspects on tomato plants. Matsuo and Imanishi described recently advanced plant hormone research, especially focused on the mechanism of the tomato fruit set and development. Molecular biological findings on tomato plants were directly related to the breeding and production innovations of tomatoes. Furthermore, Ohyama and Hayashi reviewed DNA markers, quantitative trait locus (QTL) mapping for breeding tomatoes. Higashide reviewed an increase of yield and quality in Dutch and Japanese cultivars, respectively, and the yield improvement by using Japanese cultivars. Nakano described an outline and scope of nutrient management on the advanced protection and cultivation of tomatoes. Kinoshita and Masuda introduced their new hydroponics system using root-proof capillary wicks. Pinheiro et al. reviewed factors during postharvest life that influenced the physical-chemical qualities and nutritional composition of tomato fruits. Domínguez et al. explained roles of flavonoids in the cuticle of tomato fruits. And finally, Ando reviewed the taste compounds of tomatoes, and reported on the analysis of major taste compounds in Dutch and Japanese cultivars using capillary electrophoresis, as well as the accumulation of umami-enhanser guanylic acid by cooking tomatoes.